Youth Hostel Tabor is situated nearby central railway and bus station (500 m) and close to City Center in green area. Open 0 - 24h, from 24.6. to 28.8. We are the nearest hostel from the central railway and bus station in Ljubljana, only 5 minutes away. Hostel is located in green area, with safe park place 7 minutes from city center. You can choose different type of rooms for different prices from 10 Eur to 26 Eur with breakfast included in the price. For bigger groups we have special discounts. 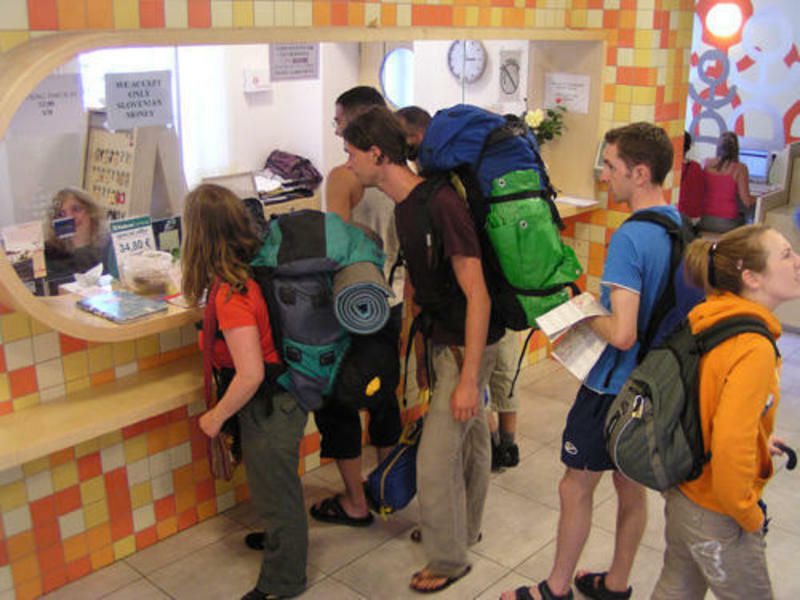 Our hostel is safe and clean, we serve continental breakfast (for the big groups we offer lunch and dinner). You can use free internet, kitchen and friendly staff will give you information about Ljubljana and Slovenia. If you have any questions just contact us before arrival. Our details will be on your confirmation booking. See you. Hostel Tabor is situated in the heart of Ljubljana, just 500m from the central railway and bus station and approximately 700m from the city center (Preseren Square and old town). Entrance at Kotnikova ulica 4 (name of the street). Just before the 3 LARGE RED buildings turn right (cross the road) and walk STRAIGHT down the street almost to the end.